With the holidays coming up, it’s easy to get stressed about what to feed the army of relatives that will soon be on your doorstep. We’re a big fan of this easy chicken recipe for large reunions. It’s an old family recipe brought straight from Italy, and can easily be doubled or tripled depending on how many mouths you have to feed. And the best part? You’ll have these chicken breasts prepared and grilled in under a half hour so that you can spend more time catching up with Uncle Joe and less time standing over a hot stove. Pair with Mazzoni Pinot Grigio and enjoy. Salute! Zest and juice both lemons in a large bowl. Add Lemon Wasabi Sauce, rosemary, parsley, and a dash of salt and pepper to the bowl and stir. Add 1-2 tablespoons of olive oil and stir again. Trim fat from chicken breasts, then coat each breast in the wasabi mixture. Let sit for two hours at room temperature or refrigerate overnight. Save any leftover sauce for the grilling process. Preheat grill or skillet to a medium temperature. Place the chicken on the grill and heat for 4-5 minutes on each side. If you have extra wasabi sauce, continue to re-coat each side of the breasts. Cover to heat the chicken from all sides, and grill for another 5 minutes or so until the meat is cooked all the way through. Serve with a drizzle of the wasabi sauce on top. Enjoy! This entry was posted on December 2, 2014 by Alex Onion. 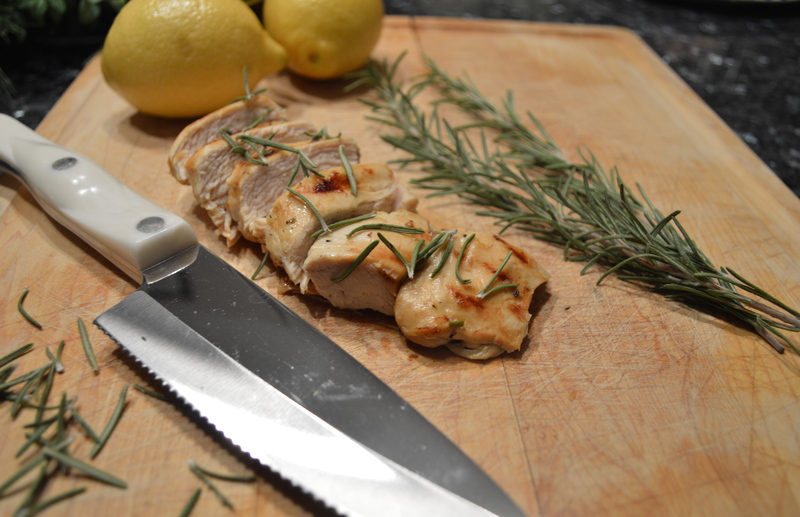 It was filed under COOK LIKE AN ITALIAN, EAT LIKE AN ITALIAN, LIVE LIKE AN ITALIAN and was tagged with easy chicken recipe, easy italian recipe, lemon rosemary chicken, recipe.